This Palmetto style 1382 expanded PTFE and graphite compression packing seal with an inert lubricant protects rotating pumps and valves from fluid leaks in chemical or abrasive slurry applications. The interwoven braided packing seal combines yarns made of expanded polytetrafluoroethylene (ePTFE) and graphite to provide a seal that withstands harsh chemicals and handles high shaft speeds. ePTFE is a strong, flexible material that exhibits the same characteristics as polytetrafluoroethylene (PTFE), such as low friction and resistance to harsh chemicals, but has a more porous, conformable structure that accepts lubricant better and helps reduce leak-off in applications with irregular surfaces and gaps. Graphite yarn transfers heat away from the shaft to prevent glazing and scoring, extending the packing and sleeve life. It handles high temperatures, high shaft speeds, and exhibits a low coefficient of friction for reduced shaft wear. An inert lubricant improves break-in time, reduces frictional heat, and prevents the packing from spinning with the shaft or stem, reducing the chance of wear and extending the packing life. This packing seal is compatible with media in the pH range of 0-14, except for strong oxidizers in the 0-2 pH range, such as oleum, fluorine, and fuming nitric acid. It has a maximum pressure limit of 1,900 pounds per square inch (psi), and a shaft speed rating of 3,800 feet per minute (fpm). It operates across a wide temperature range from -400 to 550 degrees F (-240 to 288 degrees C). Style 1382 is suitable for applications such as sludge, paper, asphalt pumps, and chemical and mining pumps. Specifications pH range 0-14, except strong oxidizers in the 0-2 pH range Pressure limit 1,900 psi (131 bar) Shaft speed 3,800 fpm (19.3 m/s) Temperature range -400 F to 550 degrees F (-240 to 288 degrees C) Rope seals provide a pressure seal to help retain fluids and gases in a wide variety of commercial and industrial applications. They have a round, square, or rectangular cross section, and come in various braided designs including braid-over-braid, braid-over-core, laminated, twisted, or interwoven. Rope seals can be manufactured from a single material or a combination of materials that suit specific pressure, temperature, speed, and chemical applications. Some rope seals are impregnated with lubricant and have reinforced cores for improved performance in specific environments, such as extremely high temperatures. They can be used to create a static seal in fixed or slow-moving applications like expansion joints, doors, and valves, or a dynamic seal in equipment with reciprocating, rotating, or oscillating movement like centrifugal pumps, rotating stems, and blowers. 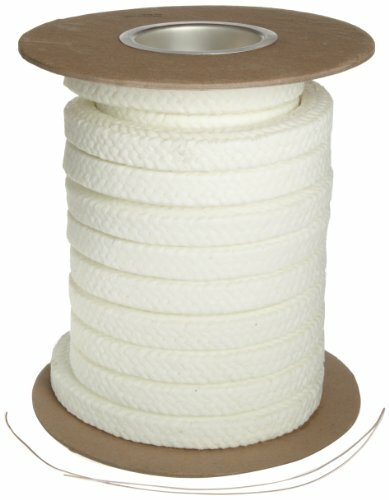 Rope seals come in uncut lengths on spools or as precut molded rings. They are used in numerous industries including agriculture, oil and gas, automotive, aerospace, construction, and consumer goods. Specifications pH range 2-12 Pressure limit 1,500 psi (103.5 bar) PV factor 335,000 Shaft speed 2,300 fpm (11.7 m/s) Temperature range -10 to 450 degrees F (-23 to 232 degrees C) Rope seals provide a pressure seal to help retain fluids and gases in a wide variety of commercial and industrial applications. 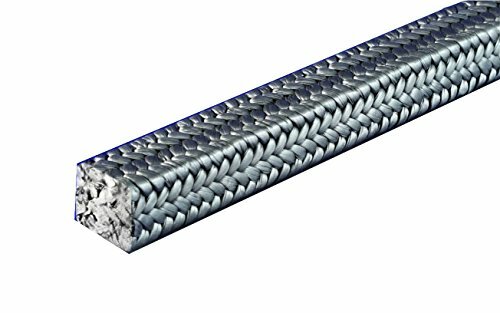 They have a round, square, or rectangular cross section, and come in various braided designs including braid-over-braid, braid-over-core, laminated, twisted, or interwoven. Rope seals can be manufactured from a single material or a combination of materials that suit specific pressure, temperature, speed, and chemical applications. Some rope seals are impregnated with lubricant and have reinforced cores for improved performance in specific environments, such as extremely high temperatures. They can be used to create a static seal in fixed or slow-moving applications like expansion joints, doors, and valves, or a dynamic seal in equipment with reciprocating, rotating, or oscillating movement like centrifugal pumps, rotating stems, and blowers. Rope seals come in uncut lengths on spools or as precut molded rings. They are used in numerous industries including agriculture, oil and gas, automotive, aerospace, construction, and consumer goods. 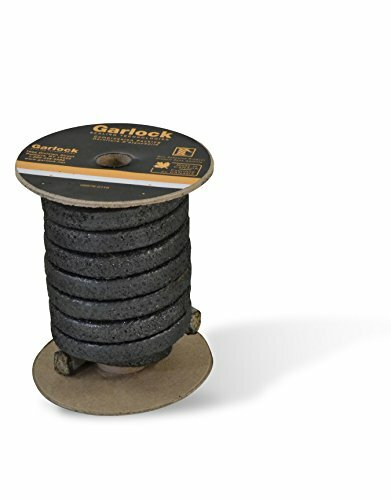 This Palmetto style 5000 flexible graphite compression packing seal with an anti-corrosion additive protects pumps and valves from fluid leaks in static and dynamic applications. The braided packing seal is made of pure expanded flexible graphite braided yarn (Flexi-Braid) for high shaft speeds, a low coefficient of friction in both low and high temperatures, and resistance to harsh chemicals and high temperatures. It transfers heat away from the shaft to prevent glazing and scoring, reducing leakage and extending the packing and sleeve life. It is resilient and conforms to surfaces when compressed to improve sealing. Flexible graphite resists breaking down in use; it becomes denser with each gland follower adjustment. An anti-corrosion ingredient is added to the packing to reduce the chance of pitting. The packing is nontoxic in accordance with the United States Environmental Protection Agency s (EPA) maximum concentration of contaminants list. Specifications pH range 0-14, except fuming nitric acid, aqua regia, and oleum Pressure limit in pumps 125 psi (8.5 bar) Pressure limit in valves 2,500 psi (172 bar) Temperature range in non-oxidizing atmospheres -400 to 6,000 degrees F (-240 to 3,300 degrees C) Temperature range in oxidizing atmospheres -400 to 850 degrees F (-240 to 454 degrees C) Temperature range in steam -400 to 1,200 degrees F (-240 to 649 degrees C) Rope seals provide a pressure seal to help retain fluids and gases in a wide variety of commercial and industrial applications. They have a round, square, or rectangular cross section, and come in various braided designs including braid-over-braid, braid-over-core, laminated, twisted, or interwoven. Rope seals can be manufactured from a single material or a combination of materials that suit specific pressure, temperature, speed, and chemical applications. Some rope seals are impregnated with lubricant and have reinforced cores for improved performance in specific environments, such as extremely high temperatures. They can be used to create a static seal in fixed or slow-moving applications like expansion joints, doors, and valves, or a dynamic seal in equipment with reciprocating, rotating, or oscillating movement like centrifugal pumps, rotating stems, and blowers. Rope seals come in uncut lengths on spools or as precut molded rings. They are used in numerous industries including agriculture, oil and gas, automotive, aerospace, construction, and consumer goods. This Palmetto style 1389 expanded PTFE and graphite compression packing seal protects pumps, valves and other equipment from fluid leaks in general service and light slurry applications. The interwoven braided packing seal is made of expanded polytetrafluoroethylene (ePTFE) (100% GFO) yarn. ePTFE is a strong, flexible material that exhibits the same characteristics as polytetrafluoroethylene (PTFE), such as low friction and resistance to harsh chemicals, but has a more porous, conformable structure that accepts lubricant better and helps reduce leak-off in applications with irregular surfaces and gaps. 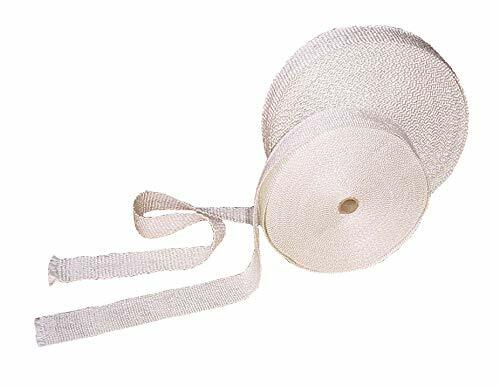 The PTFE yarn is heavily loaded with ultra-pure graphite powder that transfers heat away from the shaft to prevent glazing and scoring, extending the packing and sleeve life. Graphite also reduces thermal expansion and enables the packing to handle high shaft speeds. The packing seal is saturated with Palmetto s proprietary inert lubrication system (Matrix) that improves break-in time, reduces frictional heat, and prevents the packing from spinning with the shaft or stem, further reducing the chance of scoring and wear. Specifications Density 100 lbs/ft3 (1.481 g/cm3) pH range 0-14, except strong oxidizers in the 0-2 pH range Pressure limit 1,900 psi (131 bar) PV factor 650,000 Shaft speed 4,300 fpm (21.8 m/s) Temperature range -400 F to 550 degrees F (-240 to 288 degrees C) Rope seals provide a pressure seal to help retain fluids and gases in a wide variety of commercial and industrial applications. They have a round, square, or rectangular cross section, and come in various braided designs including braid-over-braid, braid-over-core, laminated, twisted, or interwoven. Rope seals can be manufactured from a single material or a combination of materials that suit specific pressure, temperature, speed, and chemical applications. Some rope seals are impregnated with lubricant and have reinforced cores for improved performance in specific environments, such as extremely high temperatures. They can be used to create a static seal in fixed or slow-moving applications like expansion joints, doors, and valves, or a dynamic seal in equipment with reciprocating, rotating, or oscillating movement like centrifugal pumps, rotating stems, and blowers. Rope seals come in uncut lengths on spools or as precut molded rings. They are used in numerous industries including agriculture, oil and gas, automotive, aerospace, construction, and consumer goods. Flax packing is used for shaft packing, and for leaky stuffing boxes. 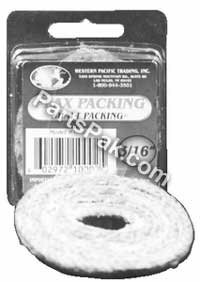 Sterling Seal and Supply's Style 1100TCP packing is braided from pure expanded graphite. It is resilient, self-lubricating, chemically inert and thermally conductive; additive zinc inhibitor for corrosion resistance. Style 1100TCP can be used in both pumps and valves in a wide range of service conditions. Flexible graphite compression packing with an anti-corrosion additive protects pumps and valves from fluid leaks in static and dynamic applications. 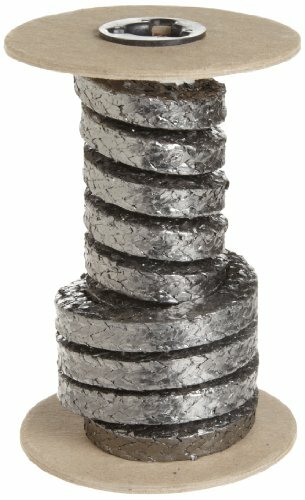 Expanded Flexible Graphite Packing from Sterling Seal has years of proven success for high shaft speeds with a low coefficient of friction in both low and high temperatures. Sterling Seal s Graphite Packing has excellent resistance to harsh chemicals and high temperatures. It transfers heat away from the shaft to prevent glazing and scoring, reducing leakage and extending the packing and sleeve life. An anti-corrosion ingredient is added to the packing to reduce the chance of pitting. This packing is compatible with media in the pH range of 0-14. Mechanical Packing, the basics: Where would I even use packing? A great example is for a boat. On a boat having an inboard motor that turns a shaft attached to an external propeller, the shaft passes though a stuffing box, also termed a 'stern gland' in this application. The stuffing box prevents sea water from entering the boat's hull. The stuffing box, in layman s terms, is where Mechanical Packing goes. 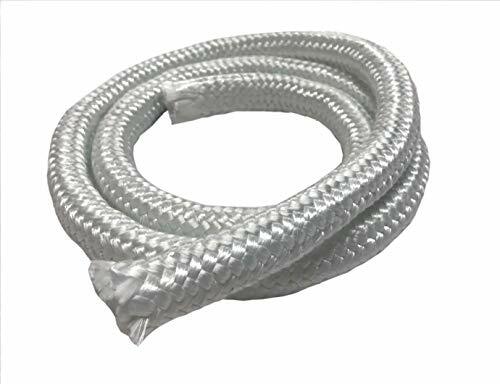 In general Packing , often referred to as rope seals provide a pressure seal to help retain fluids and gases in a wide variety of commercial and industrial applications. Packing is available in variety materials that suit specific pressure, temperature, speed, and chemical applications. They can be used to create a static seal in fixed or slow-moving applications like expansion joints, doors, and valves, or a dynamic seal in equipment with reciprocating, rotating, or oscillating movement like centrifugal pumps, rotating stems, and blowers. 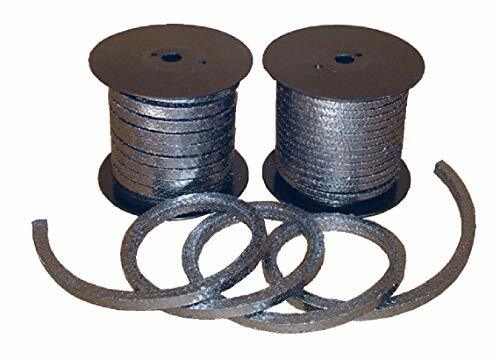 Minseal 1200 PTFE Graphite Packing is braided with graphitized PTFE (Teflon) yarn manufactured through a specially engineered process. High purity micronized graphite is encapsulated in a PTFE matrix structure. The graphitized PTFE yarn combines high thermal conductivity from graphite with all other properties of PTFE. This combination gives 1200 PTFE Graphite Packing great sealing properties that other products cannot offer: compressible, durable, self-lubricating, chemical resistant and heat dissipating. Applications include various pump gland packing, valve stem packing and other mechanical seals for many tough sealing environments in industries of petroleum, chemistry, power plant, paper mill, printing and others. The advantages of using Sterling Seal, Inc. s Graphite Filled Teflon are low coefficient of friction compared to other filled PTFE materials. SSS Graphite Filled Teflon packing have a higher flexural modulus and surface hardness than unmodified PTFE. 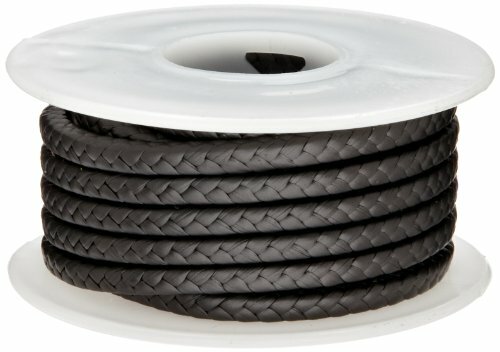 This style of packing is an interlock braid, utilizing a unique proprietary PTFE/graphite yarn and a high temperature break-in lubricant. This proprietary yarn is formed from expanded PTFE in which fine particles of Pure graphite have been encapsulated. The resulting Packing combines the chemical resistance of PTFE with the heat dissipation characteristics of graphite, thus allowing much higher shaft speeds than conventional PTFE packing's. Style 165 is chemically inert over the entire 0-14 ph. range with these exceptions: molten alkali metals, fluorides, aleum, fuming nitric acid, Aqua regia, and other strong oxidizing agents This Style is an excellent general service and corrosive service Packing It is commonly used in pumps, valves, Rotating and reciprocating shafts, mixers and agitators, and is especially designed for services involving surface speeds and temperatures higher than those that can be handled by Pure PTFE Packing. Mechanical Packing, the basics: Where would I even use packing? A great example is for a boat. On a boat having an inboard motor that turns a shaft attached to an external propeller, the shaft passes though a stuffing box, also termed a 'stern gland' in this application. The stuffing box prevents sea water from entering the boat's hull. The stuffing box, in layman s terms, is where Mechanical Packing goes. 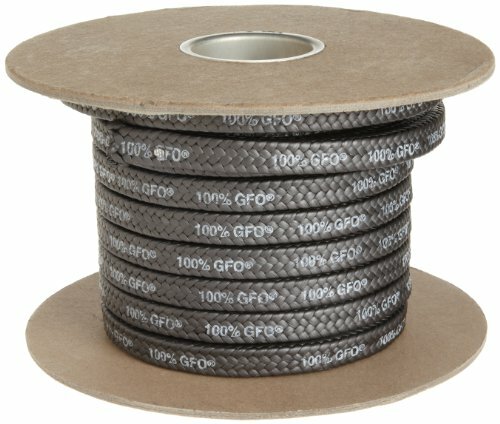 In general Packing , often referred to as rope seals can be used to create a static seal in fixed or slow-moving applications like expansion joints, doors, and valves, or a dynamic seal in equipment with reciprocating, rotating, or oscillating movement like centrifugal pumps, rotating stems, and blowers. Applications include corrosives, chemicals, solvents, water, steam, gases, air, ammonia, oils, liquor, paper stock, and condensate. Marine shaft packing that is ABS approved and used by the US Navy. 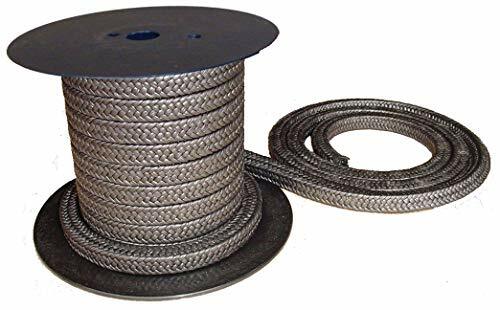 Brand: Sterling Seal & Supply, Inc. (STCC) | Manufacturer: Assigned By Sterling Seal & Supply, Inc.
GraficBraid 1000 is braided from specially treated flexible graphite yarn. This flexible graphite yarn is made from exfoliated high purity crystalline mineral graphite (flake graphite). It maintains all characteristics of mineral graphite: heat resistant, chemical resistant, resilient, lubricant, pliable, conformable, and thermal conductive. GraficBraid 1000 is an all-purpose packing for pumps, valves, joints, agitators etc. in wide range of temperature, pressure and chemical environment. MinGlas 3320G Flat Fiberglass Rope Gasket is made from high temperature texturized fiberglass with excellent insulation property and high tensile strength. The material has a flat woven texture. Resistant to abration and chemicals. No aging no shinkage. Excellent for seal gasket and insulation applications in wood stoves, furnaces, boilers, kilns, grills, ovens, BBQ, arch pan gasket and many other heating devices. More info and sizes on minseal.com. MinGlas 3350 Fiberglass High Density Rope Gasket is made from high temperature texturized fiberglass with excellent insulation property and high tensile strength. The rope is firm and round braided to provide a tight seal. Resistant to abration and chemicals. No aging no shinkage. 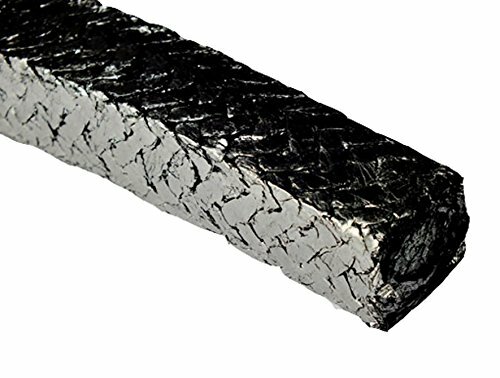 Excellent for seal gasket and insulation applications in wood stoves, furnaces, boilers, kilns, grills, ovens, BBQ, and many other heating devices.